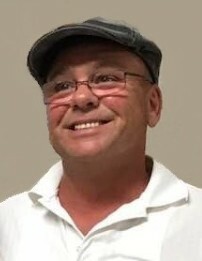 Frank E. Hampton, 59, of Lake Villa, died March 18, 2019. Beloved husband of Annette; loving dad of Samantha and Kaitlyn Hampton; loving son of Jackie (the late John) Perez; dear brother of Ed (Eileen) and Nancy (Chris) Valenziano; fond godfather of Eddie Hampton and devoted uncle to the late Eric Hampton and many other living nieces and nephews. Visitation Saturday, March 23, from 2-9 p.m., with a prayer and eulogy service at 6 p.m., at Hamsher Lakeside Funerals and Cremations, 12 N. Pistakee Lake Rd., Fox Lake. Please no flowers. Memorials to www.DaretoCare.us.